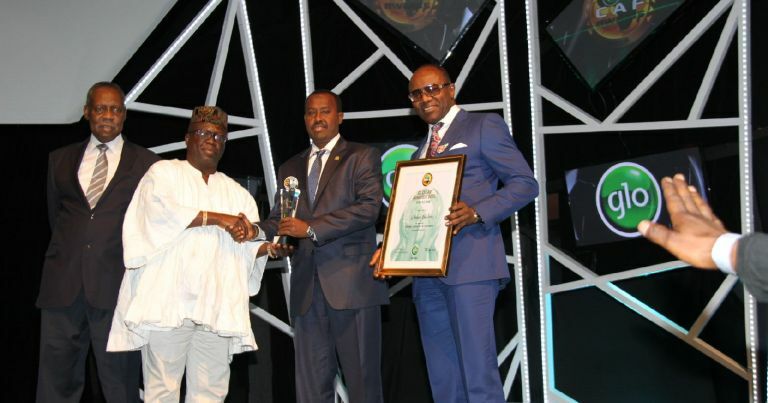 The president of Somali Football Federation and CECAFA vice president, Abdiqani Said Arab, has been crowned as the African Football leader of the year, after receiving the prestigious award during the Glo awards ceremony in Abuja, Nigeria over night on Thursday. The president has been recognized as the leader of the year because of his dedication to football and the professional organization of football development programs that protected thousands of Somali youths from falling into the hands of notorious criminals in the country. 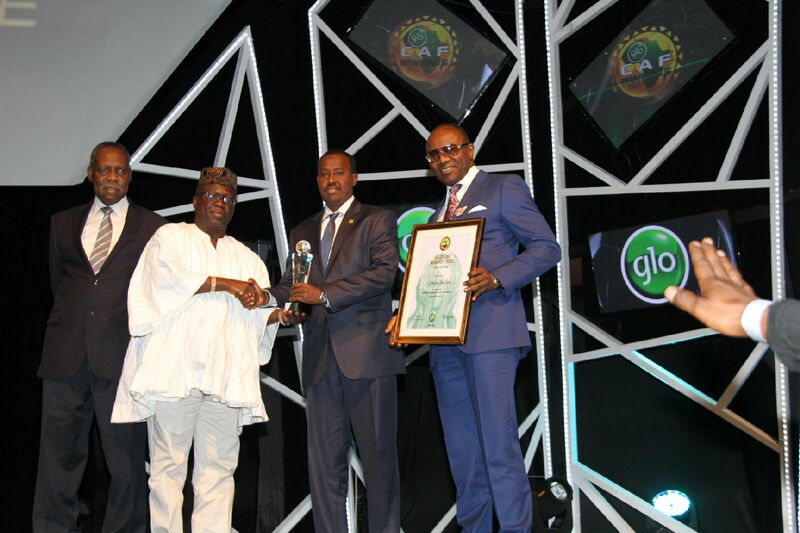 In his opening address of the Glo awards ceremony, CAF president and FIFA acting president, Issa Hayatou, commended Somali FA president for the good organization of football activities back in his war-devastated country of Somalia. “A special salute this year goes to the president of the Somali Football Federation, Abdiqani Said Arab, honored in the [leader of the year] category. In a very complex context, he succeeds to continue hoisting football as a vector of peace, a rallying factor, a cause of hope for the Somali youth” CAF president Issa Hayatou said in his opening address. After receiving the award, SFF president Abdiqani Said Arab, said that such high profile recognition was marking a great honor and publicity for him, his federation members and the entire people of Somalia. “On behalf of Somali Football family, I would like to thank CAF president Issa Hayatou and his executive committee for honoring Somalia to have such high level award. Somalia has gained this victory with a team work, so thanks to my executive committee members, the secretariat and the stakeholders for their cooperation” president Abdiqani Said Arab noted. “I take this opportunity to thank CAF Secretary General, Hicham El Amrani and his team for being fully aware of what is going on around the continent and particularly in Somalia” president Abdiqani Said Arab explained. 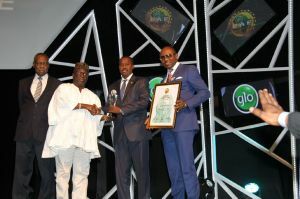 The president said that receiving this award was encouraging him and members of the SFF to redouble the football-related development programs in the country. “Knowing the difficulty situation in the country, we are committed to increasing our efforts until we realize our dreams of approaching a higher level than we are today” Somali Football Federation president, Abdiqani Said Arab said.